Carers have been suspended amid claims they taunted vulnerable dementia patients by torturing the ‘comfort dolls’ they believe are real babies in a series of sick pranks. Sickening video footage shot at Ashbourne House nursing home in Middleton, Greater Manchester, appears to show a member of staff throwing the doll to the floor, distressing its elderly owner. 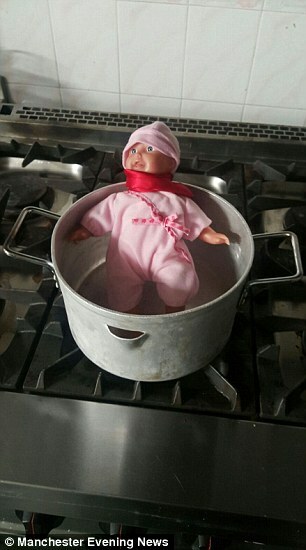 And photographs show the dolls being hanged, put in a tumble dryer and apparently being cooked in a saucepan on a hob. Another photograph shows an elderly woman appearing distressed as her doll is snatched out of her hands, while there are also images of a doll face down in a fish tank. 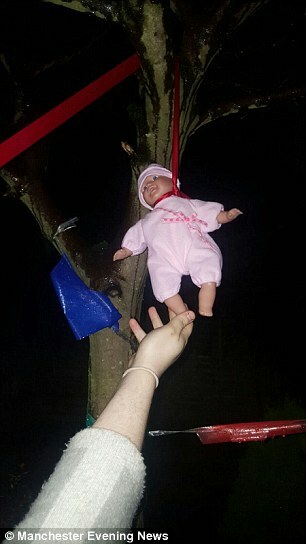 A source claims that one picture, showing the doll hung with rope around the neck outside a resident’s bedroom window, was taken as the pensioner was sleeping after staff barged in and put the light on. It is thought that the pictures and video were taken and shared among some members of staff via WhatsApp. Two members of staff have been suspended pending an investigation.